I’m always a big believer in ensuring my clients have all the information they need to succeed. That’s why it’s really important to understand the difference between the types of website you can create with WordPress‚ versus Squarespace and Wix. WordPress is the most popular website creator of its kind in the world. As a content management system (CMS) WordPress makes it easier for people to create a website‚ use it day by day, and (then once it becomes necessary) update and maintain it. It’s also a terrific platform to get a website project done with your web designer. Whether you need a new website from scratch, have a template already in mind, or want to update your existing website (and transfer it over to WordPress). The great advantage of having a WordPress site is not just its features but its community. Because the WordPress universe is so big and diverse, there is always talented programmers hard at work coming up with new website designs, plugins (special add on apps that give your site new features), and other nifty things that make the website easy and fun to use. While WordPress is user friendly it is also very powerful. It allows for the creation of totally unique and original websites‚ as well as the opportunity to quickly edit and fix technical components and code behind the scenes in event a bug or other tech error comes up. 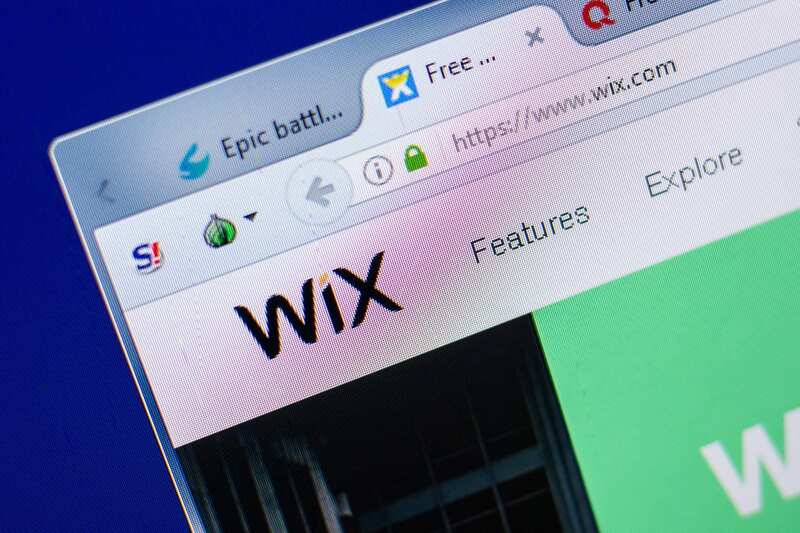 Squarespace and Wix offer people the opportunity to create websites easily. Certainly these two platforms make a big selling point of being user friendly. This is something their marketing departments should get credit for. It’s true too: a website online is better for a business than having no website online. But that doesn’t mean there aren’t big differences in quality and style between a good WordPress site and alternatives. After all‚ an Apple iPhone and a basic can opener are both user friendly‚ but there is a massive difference in design and purpose between the two. Though Squarespace and Wix may try to make it super easy for people to start websites, in reality it can be a laborious and difficult process. This is because even a ‘simple’ website can be quite complex to create on any platform. But also because often the steps these programmers have gone to in making a website user friendly actually make it harder to create a website you are truly happy with. After all, creating the perfect website is a lot like making the perfect cup of coffee. Sure, (basically) everybody likes a cup of coffee, but everyone has different tastes. Then there are different needs. Then there’s even extras to consider, like whether you have sugar, and if so, how much. The same principles apply to creating a website that is unique to your business, and meets its needs. When it comes to creativity, it’s a reality that Squarespace and Wix are also far more limiting. Using the coffee analogy once more, while Squarespace and Wix will give you some choice when it comes to what coffee beans and milk you use, ultimately the cup you use (read: the website’s structure) will always be the exact same from one site to the next. WordPress couldn’t be more different. From start to finish, and top to bottom, WordPress allows you to create a completely unique and original website. Ensuring nobody else in your field has a website like yours, and the website is one that truly meets your needs, and offers you everything you want when it comes to building your business and its online identity. That’s why when it comes to just starting out with a web design project, I always recommend WordPress to my clients. It ensures as their web designer I can create a site exactly how they like it. But also create a site that is seamless and easy to use, meaning once the project is finished and the site is created, it is easy for my clients to login in and make use of the site themselves. As time goes on sometimes big updates, maintenance, or other changes may require I hop back in to help out. But really if my dad can use a WordPress website easily and with confidence, I know anyone can! It’s different with Squarespace and Wix. They market their products as really user friendly, but in reality can be quite hard and confronting to use. Beyond the ascetics of WordPress there is also deeper issues with Squarespace, Wix, and other ‘easy’ website creators like it. Search Engine Optimisation (SEO) is one of the most important aspects of a website’s operations online today. When a website has good SEO, it means it shall rank highly whenever someone does a search for it via a search engine. The same applies to other kinds of searches. For example, if someone enters ‘Mechanic Melbourne’ or ‘Hairdresser Brisbane’ it is always ideal if your website is at least on the first page, and ideally close to the top (if not the very top). By having good SEO it not only makes it easy for existing clients to locate your website fast, but it also makes it easier to attract new business. Good SEO with a WordPress website is an easy thing to achieve. It requires some time and expertise certainly, but WordPress has the tools behind the scene to make this task doable. The same cannot be said for website builders like Squarespace and Wix. Because all their designs are ultimately similar, and the technical components behind them are rigid, websites that are built using these platforms can actually be punished and marked down by Google in SEO, given the content is duplicated, and technically flawed. It can be hard to know where to begin when looking for help with your website. It’s also not breaking news that hiring a professional web designer costs some money. That’s why websites like Squarespace and Wix know they are onto a winner when it comes to promising to make it quick and easy to create a website. It is understandable why this promise is popular, but it ultimately comes down to a question of quality. Especially because a good website is an investment. Particularly because if you build a good one and ensure its foundations are strong at the start, you can drive forward and focus on building your business knowing your website will be fantastic, and its operations will be drama-free. Squarespace and Wix invariably provide a different experience. While it is possible to get an OK website at the start, it is also one that will often need changes and updates as you go along. These updates can be time consuming, frustrating, and frankly leave you feeling really annoyed given the website wasn’t even all that good to begin with in the first place. That’s why though I’m always ready to serve my web design clients in any way I can help them, I always mention to those who have a Squarespace or Wix site that it’s really ideal to consider a shift to WordPress. Doing so not only saves them time and money in the long run, but will also deliver a better experience in using the website day by day, and building an online brand. Can I transfer my Squarespace or Wix site to WordPress with you? Absolutely. I’m always happy to assist in this transfer. The exact process can vary from website to website, but its always possible to do it. Does WordPress cost more than Squarespace or Wix? It’s understandable because WordPress is a better platform people may expect it costs more. In reality it’s often the other way. Because WordPress is powerful it makes it easier to create a website and maintain it. That can mean some more money spent at the start sometimes, but over the long run a Squarespace or Wix site can become way more expensive. There is the need for ongoing tweaks and fixes – and because these platforms aren’t as sleek or functional as WordPress than can mean far more money is spent and time is lost fixing them. That’s why I always recommend WordPress for any client wanting a great website platform that is also the most affordable. I accept WordPress is better but want to stick with Squarespace or Wix, Can you help me with web design still? For sure. I always believe it’s really important to be clear-cut and put everything on the table when it comes to what I think is best for my clients. That’s why I feel it’s really important my clients know where I stand on why WordPress is best. But certainly I’m always happy to help clients in anyway I can, with any need they have. So if you want my help but also want to keep using Squarespace or Wix? That’s all OK, and I’d welcome working for you.